Buyers returned into the gold market yesterday, albeit at a cautious pace. They pushed the price of the precious metal higher and interrupted a streak of three consecutive declines. However, the gain of $2.42 to $1,592.42 hardly changed anything in the overall downside trend, despite some better news coming out of Greece. Investors could now be trying to assess how long it will take for gold to be back in favour. The price of US crude oil futures saw a timid rebound of $0.63 to $97.08 yesterday. This was, by and large, driven by a rally in the global shares markets, coupled with a slightly weaker US dollar. It might also be the case that, after the steep fall from a high of $106.43, the market could have been expected to take a breather. Nevertheless, the short term trend remains firmly bearish, so yet another attempt to break convincingly below $96.00 could be on the cards. Yesterday, investors discarded gold and looked for safety in the US dollar and Japanese yen. It seems that the precious metal has lost some of its safe haven appeal lately, however it will be interesting to how it performs if Greece leaves the euro. Could there be forced selling to cover margin calls elsewhere, or will there be a wave of buying as a hedge against market turmoil? For now, gold has moved below $1,600.00, losing $16.33 to $1,588.86. The price of US crude oil fell in early trading on fears of an escalation in Greece's debt troubles. However, a mixed bag from the Energy Information Administration's weekly inventories report somehow offered a late recovery. From a technical analysis point of view, we did have another test of the support just below $95.50. Although a recent low was posted at $95.17, the market saw bargain hunters pushing the price back up. Overall, the US crude oil market lost $0.57 to $96.81. Mirroring the sell off in equities and the euro, gold also posted a steep decline as the developments in the Greek political arena threaten to reignite the European debt crisis. Sentiment is becoming more and more pessimistic. Even gold's safe-haven status isn't enough to attract CFDs investors, they are heading for the US dollar instead. The drop of $33.57 to $1,604.39 took the daily gold market through support at $1,612. At the time of writing, the metal is below the psychologically important $1,600 level at $1,591. Besides the political turmoil in Greece, on Tuesday, we also had the Saudi Oil Minister Ali Naimi saying that oil prices were too high. That added downward pressure to the US crude oil price which continued its plunge to $97.01, 95¢ lower for the session. From a technical point of view though, it was the second time futures prices found good support around the $95.50 level and rebounded. Although another test looks underway, watch out for repeated failures to break the support. Gold also remains in recent trading ranges, albeit near the bottom. For those of you who love long-term momentum, the last two big rallies failed to make new highs. This has not happened for some time. It seems as though previous peaks are getting harder and harder to overcome. That said, there also seems to be virtually no appetite for selling below the $1600 level. With the price at $1626, we can anticipate buyers coming in very soon. It will be interesting to see whether they can achieve the same results as in previous attempts. Gold extended its losses for a third day in a row, ending $17.54 down at $1,635.98. This came as the ECB President denied talks of a cut in interest rates. It sounded like the ECB are sticking to their mandate of caring less about growth and more about inflation. Investors took notice of Draghi's comments and moved away from gold, even though today's US employment data might see them move back. At the time of writing the precious metal is just softer at $1,632. The price of Nymex crude oil posted a steep fall of $2.68 yesterday, crossing below the short term moving averages and settling at $102.54, a level not seen since 23 April. Discouraged by the seemingly anaemic US recovery, buyers did not want to take on the extra risk of a potentially bad number in the Non Farm Payrolls report. Instead they closed their long positions, deciding to wait for further confirmations of growth. This morning Nymex CFD trading markets are looking a little pressured, down $0.50 at $102.00. Bad news for the US employment sector spurred demand for the dollar, which in turn put downward pressure on the gold market. As a result, gold prices took a hit yesterday, losing $9.2 to $1,653.60. The precious metal is still feeling the effects this morning by trading lower at $1,646. The US Department of Energy released its weekly oil inventories report yesterday, showing a rise of 2.8 million barrels in crude stocks. This was more than analysts' earlier estimates for an increase of 2.3 million barrels. Perhaps more importantly, the overall level of crude inventories has reached the highest mark since September 1990. This hurt the price of US crude oil by $0.76, falling to a close of $105.22. In contrast, gasoline stocks fell by 2 million barrels, versus expectations of a drop of 0.9 million barrels, which may have limited the slump in oil prices. Gold finished slightly lower yesterday, losing $1.65 to close at $1,662.80. This largely came on the back of the positive US manufacturing data, which sent investors back into risky assets. Doubts that the Fed will employ another round of quantitative easing have also reduced demand for gold as a hedge against weaker US monetary policy. Considering the bigger picture, the $1,620 - $1,680 range established last month is still in place. At the time of writing the precious metal is at $1,651. The economic recovery in the US has continued to remain fairly resilient, as indicated by yesterday's positive manufacturing data, despite speculation of slowing activity. Energy investors were quick to react, pushing US crude oil futures above the $106.00 resistance level and scoring a $1.27 gain for the day, closing at $106.16. The upcoming reversal of the Seaway pipeline may have also played a supporting role as it could clear the glut in the US crude oil market. This morning US crude is just a little softer at $105.75. The commodities spread betting markets saw a sharp sell off in gold yesterday which left everyone wondering about a so-called 'fat finger error'. It was serious enough that trading was halted to allow 'the market to recalibrate', according to a CME spokesperson. For the rest of the day, gold fought its way back up and closed $1.45 higher at $1,663.88. Growing worries regarding the European economic outlook, as Spain slipped back into recession, weighed on US crude oil prices in yesterday's morning session. Although the US economic figures also painted a negative picture, a late rebound in the stock market helped the energy sector regain some composure. In the end, the price of US crude oil closed only marginally down, falling $0.06 to $104.87. Following the weaker than expected US growth figures, many commodities investors took the view that the Fed will increase its current monetary easing program. As a result, the gold market continued its rally with the precious metal ultimately gaining $4.9 for the day, rising to $1,662.3. The price of WTI crude oil was on the back foot on Friday after the US economy showed weaker than expected growth. However, the usual suspects, a rebounding equity market and a weaker US dollar, reversed the daily trend and pushed crude prices into positive territory, up $0.83 to $104.93. In addition, some energy investors may have chosen to close their short positions that were established in the morning, unwilling to stay exposed over the weekend. Enjoy quick access to crude oil, gold, silver and more with a new user-friendly commodities trading account. Use spread bets or CFDs and trade a wide range of global markets...» read more. Our guide to commodities spread betting looks at the futures markets you can trade, worked examples, charts, 24 hour spread betting, tax-free trading*, demo accounts and...» read more. Our guide to gold spread betting looks at 24 hour trading, charts, tax-free* trading, how to spread bet on the gold markets,...» read more. Our crude oil spread betting guide looks at the different oil futures markets you can trade, how to get live prices & charts, tax-free* spread betting, where to get more data on the energies futures markets and...» read more. Our guide to silver spread betting looks at 24 hour trading, charts, tax-free* trading, how to spread bet on the silver markets...» read more. Given that Russia is facing huge challenges from the collapse in oil prices and the ruble, the market has started to speculate that the country could default on its debts. With that being the case, one might expect...» read more. The recent collapse in oil prices has reignited fears of another old enemy, deflation, the very phenomenon that quantitative easing was trying to protect us from. 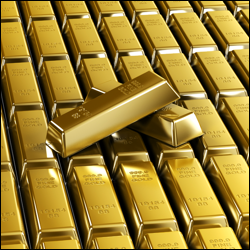 Consequently gold is losing its appeal as a hedge against...» read more.